The Australian Local Government Women’s Association (ALGWA) was created in October 1951, during the Jubilee Year of the Commonwealth of Australia, at a meeting chaired by Dame Enid Lyons, and held in the Canberra Hotel suite of Cr Violet Lambert of Victoria. 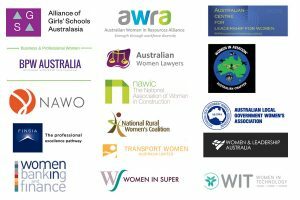 Attendees included representatives of women’s organisations throughout Australia, several of whom were involved in local government. At the meeting it was agreed that an association of local government women be formed to support women’s participation in local government, both as Councillors and officers; it was to be non-party political. At that time, just one per cent of councillors were women. Today, we are national body with branches in every State and the Northern Territory. We are a non-party political association and we are all volunteers. We offer support, networking, mentoring and encouragement to all women in local government, both councillors and officers. We have a National Board with directors nominated from each State and the Northern Territory. Each State has an executive committee. Our members are both individuals and Councils. Today 32.8% of councilors are women.